Resizes any number of images quickly. 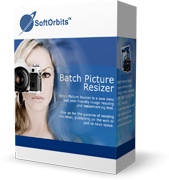 Batch Picture Resizer 8.1 was available as a giveaway on October 5, 2018! How would you improve Batch Picture Resizer 8.1? SoftOrbits is a reputable developer of utilitarian software. I bought some of their titles, such as Sketcher. HOWEVER, Batch Picture Resizer is one of their flops. The first serious shortcoming I noticed was that images cannot be resized based on 'inches' or several other common measurements. Resizing is limited to just two measurements -- pixel and %. BOO! 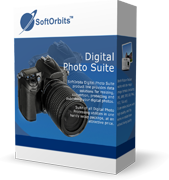 Several free photo conversion software offer more options. The Effects tab is a joke. Look at it. Just two lame features. I don't know why SoftOrbits bothered to add that tab. The Tools tab is equally as bad. Just two so-so tools offered. MY VERDICT IS: Batch Picture Resizer is not worth the space in my Windows registry or on my OS SSD. I am uninstalling. 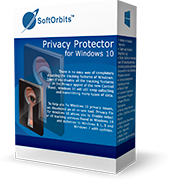 SoftOrbits is a reputable developer of utilitarian software. I bought some of their titles, such as Sketcher. HOWEVER, Batch Picture Resizer is one of their flops. The first serious shortcoming I noticed was that images cannot be resized based on 'inches' or several other common measurements. Resizing is limited to just two measurements -- pixel and %. BOO! 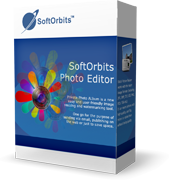 Several free photo conversion software offer more options. The Effects tab is a joke. Look at it. Just two lame features. I don't know why SoftOrbits bothered to add that tab. The Tools tab is equally as bad. Just two so-so tools offered. MY VERDICT IS: Batch Picture Resizer is not worth the space in my Windows registry or on my OS SSD. I am uninstalling. As it has been always to me, get free activation key button not working! As it has been always to me, get free activation key button not working! very disappointing. Excuse me...since when is 40 bucks...cheap? Yeah, yeah I know it' s free today...but really. Why these programs are not available for Mac ? They won't send me any mail to my adress so why bother trying. I simply use Xnview Shell extension for converter and resizer from right click in the file explorer...very convenient. Photocnv is free and does the same job. I have been using it for years. RK Shukla, That sort of thing is impossible, unless you want to degrade the quality of the original image. jj juice, upscaling does NOT in itself DEGRADE quality it can potentially maintain quality as the resultant larger file has a greater capacity for containing information. It is decreasing dimensions (size) of an image that has to degrade an images quality or amount of information it can hold. Also no sensible resize tool resizes the original image but makes a copy and resizes that and saves a resized copy so nothing should "degrade the quality of the original image" that file should be read but never written to unless explicitly instructed to overwrite the original file. RK Shukla, try irfanview it has batch resize facilities and optional algorithms to improve the look of any expanded pixelisations such as resampling and fancy interpolation algorithms. Faststone Image viewer can do batch resizing as well - and it is free. kenkobra, thanks for response, but believe me, nothing appeared on my screen after i submitted my email address. Same for me, nothing in my email....... ??? crumhorner, But does FastStone also do lossless operations and upscaling as well as downscaling? Amen! Faststone Resizer is a wonderful program. I've used it often over the years. I'll have to try Batch Picture Resizer and see if it measures up. @ crumhorner Amen! Faststone Resizer is a wonderful program. I've used it often over the years. I'll have to try Batch Picture Resizer and see if it measures up.